Cute..and I’ll say cute again. I know it’s out on video now for rent but I actually went to the movies to see this one. (I love anime/animation/cartoons)! 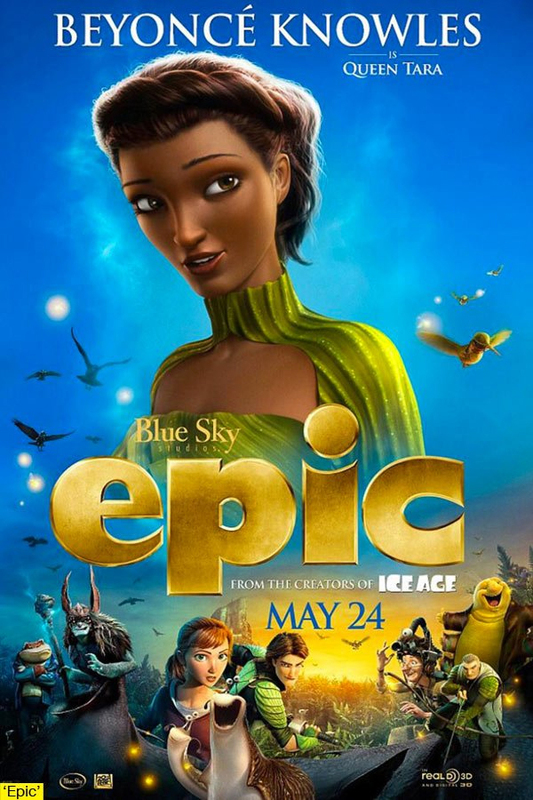 Kids enjoy this movie…but as an adult I personally thing I like Brave, Ice Age, and despicable me better. the trailer to this movie though…OMG…I Love love love it..with the music. It can bring tears to your eyes. I think that’s why I thought it would be better..the trailer was perhaps so emotionally fantastic so you expect the movie to be just as great. It still has a two thumbs up. Saw it at the movie..then turned around and rented it. That should tell you how cute it is. Love the colors, the story line…sad that there wasn’t a real happy ending like us girls like. Posted in humorTagged anime, birds, cartoon, epic, movie, Movie review, movie trailer, reviewBookmark the permalink.